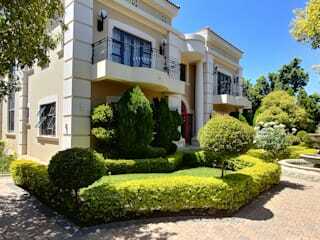 Family Residence in Morningside, Sandton, Johannesburg, South Africa. 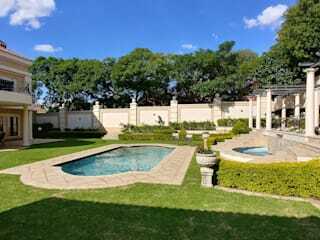 Lance Fulton Architect (Pty) Ltd provides full spectrum professional architectural services from Inception to Close Out (Stages One to Six) in South Africa. 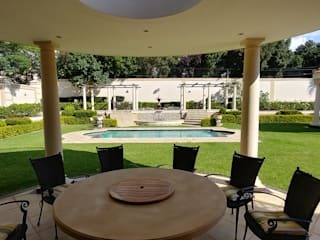 Lance Fulton - the owner and Director, is professionally registered with the South African Council for the Architectural Profession and therefore all Local Authority approvals (Building Warrants) are supervised and signed off by him. He has over thirty years experience in high end residential, retail including airport retail, supermarkets, shopping Malls, office buildings, American Roadhouse Diners and cold storage warehousing. The Company also undertakes architectural concept designs for clients in the listed service areas, and where required will liaise with a locally registered Architect of Record to procure building approval. Our Mission Statement is to remain at the cutting edge of the issues that impact architecture today which is sustainability, materials knowledge and technology whilst marrying this with client requirements. We provide the first two stages of professional service for all service areas listed. In South Africa we can provide Stages One to Six.